1. Read Contextual Chemistry (Global Climate Change) pages 23-24-25 See Table 1.4 Point/Counter Points). Note the Think & Discuss questions on page 25. Read Chapter 16 Section 16.7. 3. Take and Record Notes (Stop & Start Film) on Film (see document: “6 Degree Notes”). If you use a different film set up the Notes page like 6 Degree Notes. Write a paper on Climate Change or Global Warming. Take a pro or con stand on the issue. You should use references or scenarios from the film (or other equivalent films) and use additional references from the Internet. This paper should be at least three to five pages Double Spaced. This paper is due the week of the final exam. Cite your references. Piece together as many quotes from your research, but label them and attach a bibliography. Research NOAA using the links below and explain what they do. See Figure 16.26 and 16.27 in Section 16.7 pages 526-527. Our text is copyright is 2014. Update theses graphs by cutting and pasting from NOA in your paper. Please show the current graphs of CO2 levels of the atmosphere and the graphs of the last 50 years or more. At what level may we be at the point of no return? In the last 18 months, which months set records for highest recorded monthly temperatures. What do you concluded from the data presented. Explain what has happened to the Ice Caps of Greenland and Antarctica over the last 15 years. What happed with Larsen A and Larsen B? What is happening to most of the major glaciers over the last 50 years. What is the global impact? How can we stabilize Green House Gases? Describe Plant Barry of Alabama Power which has a solution but is not used. Why? This paper/project is due the last week of the term. If you use images, then your paper will exceed five pages. Images blown up for a page will not count. 3-5 pages not including large images. The climate change debate hits a blistering zenith in this award-winning documentary. “The Global Warming War” proposes that the scientific opinion on climate change is influenced more by politics than actual climate-science, and questions whether scientific consensus on global warming even exists. Featuring interviews from climatologists, meteorologists, physicists, authors, and political strategists. 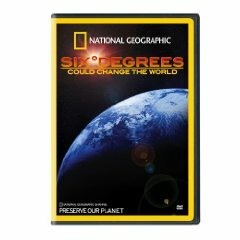 Including the founders of The Weather Channel, the co-founder of The World Rainforest Movement, and physicist, Dr. Henrik Svensmark, the documentary introduces his Cosmic Ray Theory, which he maintains plays an important role in our planet's climate, and could be a factor that has been unaccounted for. 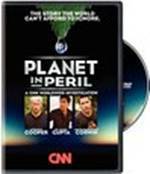 CNN takes viewers around the world in a comprehensive 3-hour documentary that examines our changing planet. This worldwide investigation, shot in high definition, looks at four key issues: climate change, vanishing habitats, disappearing species and human population growth. To tell this story, Anderson Cooper, Dr. Sanjay Gupta and Animal Planet's Jeff Corwin traveled to some of the most remote and remarkable places on Earth. From exposing illegal wildlife trading undercover in Southeast Asia to seeing first–hand the devastating effects of deforestation in Brazil, they have gathered evidence on the unsettling changes taking place all around us. There are also other films you may use.